In this example, I have created a UI form which asks for event Date, event Title, and event Details. Once the form is submitted, it gets the particular calendar and creates an event in it starting at 12:00 AM to 1:00 AM (Your local time) on the specified date. 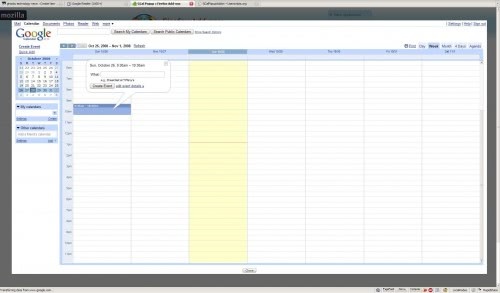 27/11/2011�� Open the native calendar app, press the Menu hard button (leftmost of the four), click Settings, then click Calendar Sync and make sure your Google account sync is on. Add it, if it is not listed. Add it, if it is not listed.